How to watch Wind River (2017) on Netflix Argentina! Sorry, Wind River is not available on Argentine Netflix, but you can unlock it right now in Argentina and start watching! With a few simple steps you can change your Netflix region to a country like United Kingdom and start watching British Netflix, which includes Wind River. We'll keep checking Netflix Argentina for Wind River, and this page will be updated with any changes. 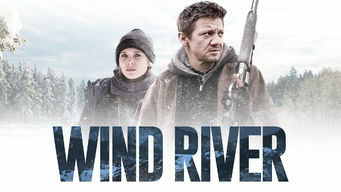 Wind River is not available in Argentina BUT it can be unlocked and viewed! A tracker with the U.S. Fish and Wildlife Service assists a rookie FBI agent who's investigating a teen girl's murder on a remote Wyoming reservation. Neither of them has ever investigated a murder. Now it's their job, in a place where murders are rarely solved. There is a way to watch Wind River in Argentina, even though it isn't currently available on Netflix locally. What you need is a system that lets you change your Netflix country. With a few simple steps you can be watching Wind River and thousands of other titles!